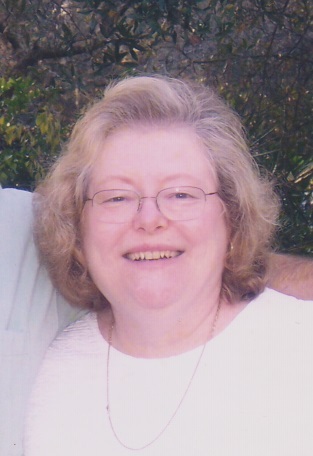 Denise M. Soyke, 73, of 866 High Street, Bradford, passed away, Thursday, November 29, 2018, at The Pavilion at BRMC. Born November 2, 1945, in Bradford, she was a daughter of the late Howard and Lucille (Douthit)McCollough. Denise was a 1963 graduate of Bradford High School. On November 14, 1964, in the Rew EUB Church, she married James A. Soyke who survives. She had been employed as a secretary and clerk for the ARG Federal Credit Union for over 25 years. Denise was a member of the Sawyer Evangelical Church, the Zephyrhills Wesleyan Church, the Quarter Century Club at ARG, and TOPS. She had been past president and secretary for the Zephyrhills Ladies Group. She enjoyed crafts, working on her summer flowers, and was known to be a wonderful cook. Surviving in addition to her husband Jim, of 54 years, are two sons, Bradley A. Soyke and Derek W. (Deborah) Soyke, all of Bradford, four grandchildren, Tyler, Alex, Brooke and Samantha, three great grandchildren, and several nieces and nephews. She was preceded in death by her parents, one sister, Donna Moonan and one brother, Howard McCollough. Family will be receiving friends on Wednesday, December 5, 2018 from 10:00am to 11:00am at the Sawyer Evangelical Church, where funeral and committal services will be held at 11:00am with Rev. Brad Preston, officiating. Burial will be in McKean Memorial Park. Memorial contributions, if desired, may be made to Sawyer Evangelical Church 777 South Kendall Ave. Bradford, PA 16701. Can''t say I''ve known a nicer lady than Aunt Niecie. Always with a kind word, a big smile and incredible mac and cheese. Everyone around her felt welcome and loved. She will be missed. Dear Jim We are so sorry to hear of Denise passing We just received a email this morning . Jim you are in are thoughts and prayers. Take care Geo. And Edie. Dear Jim and family, We were so very sorry to hear of Denise’s passing. She was such a lovely and loving woman. She was a ray of sunshine on our lives. So compassionate, so caring. Her heart was big enough to hold each of us, share our hopes and joys, comfort our sorrows, laugh with us and cry with us. I hope all of you know the depth of her love of and pride for all of you. We’ll never forget her smile, her joy in all she did, the big things and the smallest tasks. She gave so much of herself. She touched so many lives and for each of us who were blessed to know her, there will be a hole in our lives that will never be filled, never be healed. We love you all. Praying for your peace and strength till your memories of her bring you more smiles than tears. Sending love and hugs to you.